The website, twitter and Facebook pages have yet to be updated, but the dates are out for the 9th incarnation of the Salento Book Fair in the Italian province of Lecce. The travelling exhibition will stop at Corigliano d’Otranto , Galatina , Galatone , Gallipoli, Nardò and Aradeo. Over a month of book presentations, readings, reading workshops for children and literary walks with the writers of the most important national publishing houses, but also personalities from the world of entertainment, culture, journalism and civil society to meet different tastes of the many readers and enthusiasts. Squares, castles, churchyards, alleys and courtyards become theaters for discussion and discussion opportunities around books, on Lecce and Carparo stone or blue sea scenery, to confirm the profound connection between the event and the territory. Founded and organised by Gianpiero Pisanello, the Salento Book Festival is financed by the Department of Tourism and Cultural Industry of the Puglia Region. 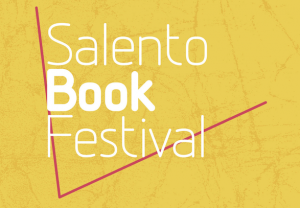 For updates on the Salento Book Festival head to the website here.